Wherever you maybe, a tablet lets you keep up with the fast-paced digital world of today. It has been an essential part for most people’s lives. But with so many options out there and with brands like Apple, Samsung and Microsoft packing their offerings with amazing features to up the other, it can be really tough to choose which one will work best for your needs. Keep in mind that the best tablets will always be snappy, with a bright and crisp screen display as well as a lot of storage. They will also be user-friendly. The price range is usually from £50 to over a £1000, but whatever budget you have in mind, there are certain things you need to consider before purchasing one. So whether you are after a cheap tablet or a something with a large screen, we are here to guide and help you pick out the ideal tablet. A tablet is a portable PC usually with a mobile operating system and an LCD touchscreen display as well as a rechargeable battery in a single thin, flat package. Tablets can do what a personal computer can do but lack some input and output capabilities that others have. It does have other input and output capabilities that suit it to its typical tasks. These may include front-facing or rear-facing digital cameras, a microphone, GPS receiver, flashlight, magnetometer, proximity sensor, barometer, gyroscope and an accelerometer, so images on screens are displayed upright, or to sense velocity. Some have a fingerprint sensor, iris scanner, or face recognition. Most tablets use Wi-Fi, and some can also use cellular networks, for Internet access. Tablets can run different apps like camera, web browser, photos, emails, voice or video calls, etc., which come pre-installed with the systems. Other apps can be installed online via the tablet maker’s app store. Its touchscreen display uses either finger or stylus gestures instead of a mouse, keyboard and trackpad of larger computers. On its sides you will usually see the speakers, volume control buttons, a USB port and a headphone jack. Some may have a touchscreen home button at the bottom of the screen or a a physical home button or multiple buttons may be included below the touchscreen. 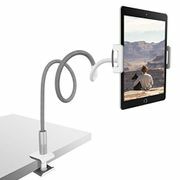 You can also use a tablet to place voice and video calls through Wi-Fi or cellular networks. These devices largely resemble modern smartphones, the only differences being that tablets are relatively larger than smartphones and may not support access to a cellular network. Slate. It is a lighter, slimmed down tablet without a dedicated physical keyboard and other extra components. A slate's size may vary, starting from 6 inches. Some models in the larger than 10-inch category include the Samsung Galaxy Tab Pro 12.2 at 12.2 inches, the Toshiba Excite at 13.3 inches and the iPad Pro with a 12.9 inches screen size, which is larger than the regular iPad. Mini tablet. These devices are smaller and lighter than standard slates, with a typical screen size between 7–8 inches. The first successful ones which were introduced in 2012 were the Samsung Galaxy 7-inch Tab and the Nexus 7 by Google. In November 2013, Apple released the iPad Mini 2, which remained at 7.9 inches and nearly matched the hardware of the iPad Air. Phablet. Phablet is a combination of phone and tablet. That size is generally considered larger than a traditional smartphone, creating a hybrid category called a phablet. Examples include the Sony Xperia XA Ultra and the LG V10/V20. Convertible, hybrid and 2-in-1. Convertibles have a chassis design allowing to conceal the keyboard, for example folding it behind the chassis. Hybrids' keyboards can be completely detached even when the device is running. 2-in-1s can have either the convertible or hybrid form, dubbed 2-in-1 convertibles and 2-in-1 detachables respectively, but distinct by support of desktop operating system, such as Windows 10. Asus Transformer Pad-series devices, which run variants of Android OS, are example of hybrids. The iPad Pro with an optional detachable keyboard and a stylus is a prominent example of a modern hybrid. Microsoft's Surface Pro-series devices and Surface Book exemplify 2-in-1 detachables, whereas Lenovo Yoga-series computers are notable 2-in-1 convertibles. Gaming tablet. These tablets are modified by adding physical gamepad buttons such as D-pad and thumb sticks for better gaming experience combined with the touchscreen and all other features of a typical tablet computer. An example is the Shield Tablet by Nvidia which runs Android games bought from Google Play store. Booklet. This are dual-touchscreen tablet features a clamshell design that can fold like a laptop. Examples include the Sony Tablet P and the Toshiba Libretto W100. Android. This highly popular operating system comes in numerous models and in almost every price range. The differences are subtle among brands, but they basically operate in the same manner. One of the main advantages of Android is how easy it is to customize and can adopt to your own needs with possibly unlimited options. iOS. This operating systems is available only on Apple products. If you’re an iPhone user, you will not a hard time using tablets running on iOS. It is generally user-friendly and even newbies will not a hard time getting used to it. However, unlike Android, it’s pretty much a closed shop, which could be either a curse or a blessing, depending on your particular needs. Windows 10. If you have used a PC in the last 2 decades then you will be familiar with this operating system. It’s pretty much old Windows that we’re all too familiar with but on a tablet. If your tablet is powerful enough, you can run Windows programs and apps here. It also comes with programs like Word and Excel. Before shopping around, the first thing you need to have a look at is your budget and how much you’re willing to shell out for a new tablet. Aside from this, you also need to know exactly where and what you want to use it for as it is one of the main factors on the cost of the tablet you’d want to get. 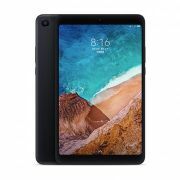 If you just want something where you can browse the web, watch some videos and keep up with some of your social media accounts such as Facebook, Twitter and Instagram, then you don’t need to bend your wallet, as there are numerous cheap tablets out there. A good tablet with quality that you can use every day can cost you around £150 - £200. However, there are some cheap 10 inch tablets that you can get which can really give you value for your money. If you’re after a tablet that can run apps that tend to be more demanding, then be prepared to shell out about £300 - £400 off of your budget. There are plenty of amazing finds online that will keep almost anyone happy. But if you’re after something a bit more substantial which can run not just demanding games and apps but can also be used for editing images, you’d want to opt for a tablet with a decent amount of Ram and a faster processor. A tablet like this can come with a price tag of £600 or more. When is the best time to shop for tablets? There are certain seasons where you can grab one for a bargain. Big retailers are going all out during Black Friday and Cyber Monday leading up to the holiday season. During this time of the year, gadgets are heavily discounted, but make sure to look around first to ensure that you’re getting a real bargain. Also lookout for newer versions to be released as retailers sometimes offer great discounts on older models to clear their stocks out. There are instances that the savings are not that big but you can get yourself a good deal if you’re okay with buying the latest model. Where can I shop for great tablet deals? Tablets for sale on Tesco includes great deals on select models and brands where you can get savings of up to £40 on Samsung Galaxy Tab plus a 2 year guarantee. While Argos tablet deals include a wide range of Samsung models with a savings of up to 25% and a 2 year guarantee such as the Samsung Galaxy Tab E 9.6 Inch 8GB Tablet, Samsung Galaxy Tab A 7 Inch 8GB Tablet, Samsung Tab S2 9.7 Inch 32GB Tablet and more. Asda also offers a good tablet deal with their rollback of the RCA Mercury 7 Inch Tablet from £49.99 to £39.99. John Lewis tablet deals on the other hand include a savings of £10 - £200 savings on select models and a 2 year guarantee. 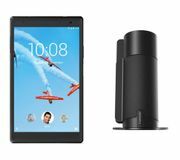 You can also get your kids the Amazon Fire HD 8 Kids Edition Tablet with Kid-Proof Case, Quad-core, Fire OS, Wi-Fi, 32GB, 8", Blue exclusively here and in Amazon for just £129.95. In this article we will focus on tablet computers (see here for iPad, Kindle). Argos sells tablets from all of the above brands and you can use the filter option to find them. Some tablets have models both with Google Android and Windows, for example Hipstreet and Bush. You can also filter by operating system to choose what you're after. When's the best time to buy a cheap tablet at Argos? The brand often has regular sales on technology, but you can see in the graph above peak demand is in November for Black Friday. When visiting the website, you can filter to tablets for "Under £100". This will result in Samsung and Lenovo being featured at the top, but there may still be cheaper underneath. Most cheap tablets only have 32GB of storage, so if you're looking for more choose one with a memory card slot. Currys offers a price match promise where it will give you a discount if you can find it cheaper from AO, Argos, ASDA, John Lewis or Tesco. This price promise includes the use of voucher codes. Prime Day - Amazon Prime Day is the annual sale event in the second week of July when the UK's largest online retailer slashes the prices of electronics and other goods. However, Amazon only promotes its own tablet, the Amazon Fire. To compete, Currys also has "One Day Only" Deals, but across all the tablets. This is a good time to pick up a bargain. Amazon has the largest selection of tablets on offer. It features its own Amazon Fire tablets at the top, which as a side note is a very good value tablet. The Amazon Fire tablet is a favourite with parents because of the extra controls you can set. You can create a "child-friendly" environment for your kids to explore and play the tablet with. Amazon also sells the Fire Kids Edition which includes a soft rubber outside case which can be thrown around without fear of it breaking. It's more expensive, but is a favourite with our community. Therefore, it's always worth checking to make sure you're getting the best tablet deal. During Amazon Prime day, the company reduces the price of the Fire Tablet by 30%. This is also reduced during Black Friday. It is probable that the company sells this almost at a net profit margin of zero, since it makes money from the digital media you purchase on the device. Another great tablet from Google features an excellent display, exquisite design and lots of power. It’s the ultimate tablet for professionals (just add the Bluetooth keyboard). The tablet is lightweight – for the liking of any on-the-go-professional – with Mediatek Quad Core processor, 6000 MAH rechargeable battery, and 6 hours of non-stop action. It also has an ultra-responsive 5 point multi-touch technology screen. 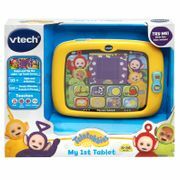 This 10-inch tablet is designed in the UK, and is a proud sponsor of Bliss UK baby charity. £79.99 on Amazon. The Lenovo Tab 4 10 is the first tablet to hide many tablets in one. It delivers a great multimedia experience in an amazing design hiding high-end specifications. It has you covered beyond what other slate tablets offer by helping you secure your data with multi-user and multi-space functionality. It features a brilliant HD display, cinema-worthy sound and easy sharing. £169.99 on Argos. Asus VisualMaster technology delivers a HD visual experience with brighter, more vivid colours, wider contrast levels, and sharper details. To reduce eye fatigue and ensure you can read comfortably even in bright sunlight, the Z300M filters out blue light and adjusts to suit different lighting conditions. Take great pictures with the built-in 5.0 MP front camera, whilst the 2 MP camera is perfect for selfies and doubles as a webcam when you want to communicate with friends and family. £119.99 with free delivery or collect from store on Currys. See everything with amazing clarity on the Fire's 10.1” Full HD display. With over two million pixels, the LCD display delivers wide-viewing angles to enhance your viewing pleasure. Whether you're gaming, enjoying the latest blockbusters, or relaxing with an e-book, the screen is built to deliver reduced glare and improved brightness. The improved battery life will give you up to 10-hours of mixed usage, providing the flexibility to enjoy a full day's worth of entertainment without having to stop and charge up. £149.99 with free delivery or collect from store on Currys. Designed for every day and everyone in your family, the Galaxy Tab A has a beautiful 10.1” screen, which is the ideal size for watching films, playing games and editing documents. Take your reading and browsing to the next level with the 4:3 aspect ratio screen that makes every page look great. The whole family enjoys using the Samsung Galaxy Tab A for longer thanks to an impressive 13-hour battery life, for all your browsing and video-playback needs. £179.00 plus earn 179 Clubcard points on Tesco. You can find all the latest cheap tablet deals here on this page, shared by our community of deal hunters. From all the brands and across different retailers, you'll save money. If you spot a good tablet deal, please share it here and help others.